“Hondjie,” by Robin Rhode, 2001. 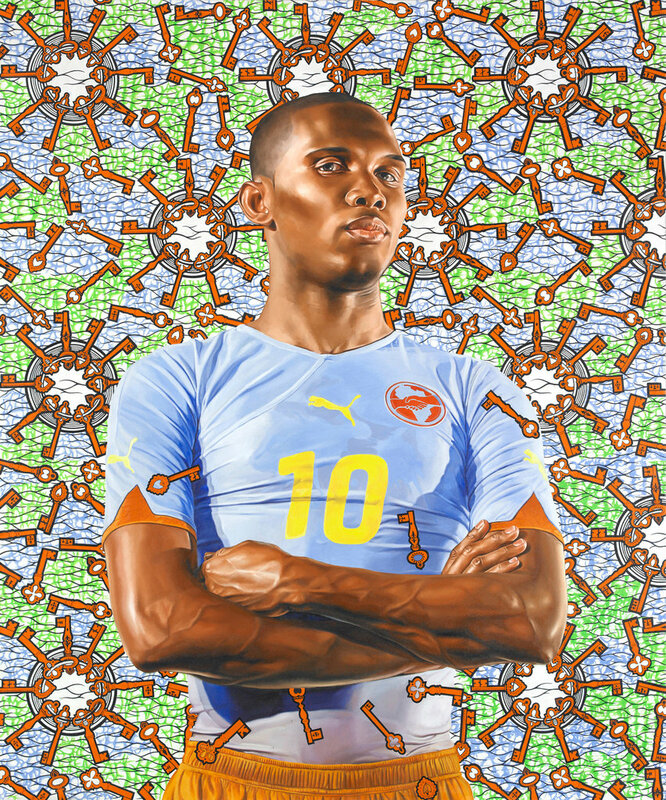 “Samuel Eto’o,” by Kehinde WIley, 2010. Courtesy of Roberts & Tilton, Culver City, Calif. 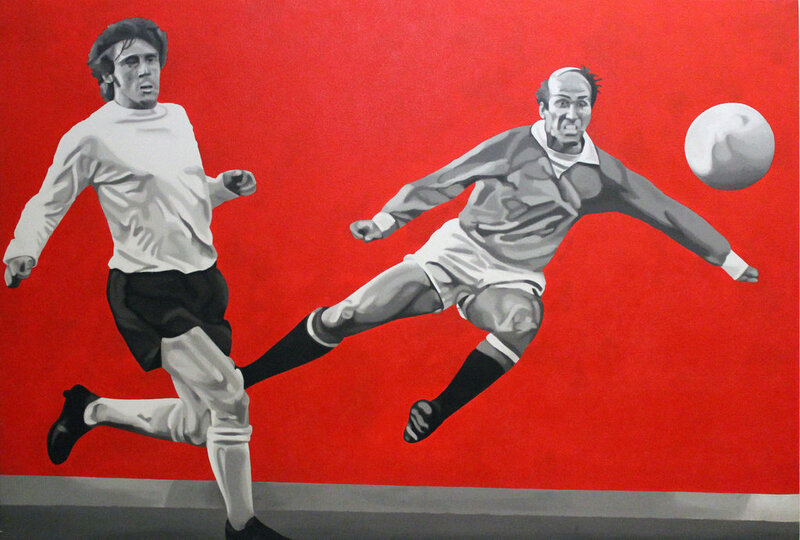 This Sunday might be the big game, but the Los Angeles County Museum of Art(LACMA) hasn’t forgotten about the other football — or soccer, as we refer to it in the United States. 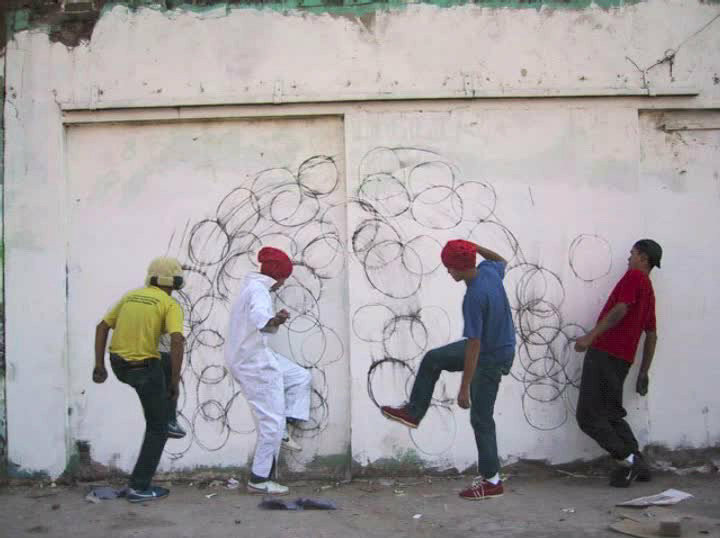 Opening the day of the Super Bowl, “Fútbol: The Beautiful Game” examines the sport through works of art ranging from video and photography to painting, sculpture and large-scale installation. Timed in anticipation of this summer’s World Cup in Brazil, an event as beloved throughout the world as the Super Bowl is in America, the exhibition addresses issues of nationalism, identity, masculinity, hero worship and mass spectacle. “Zidane: A 21st-Century Portrait,” a room-size video installation by the artists Philippe Parreno and Douglas Gordon, is an intimate look at one of the greatest soccer players in history and celebrates the sheer beauty and elegance of the sport. 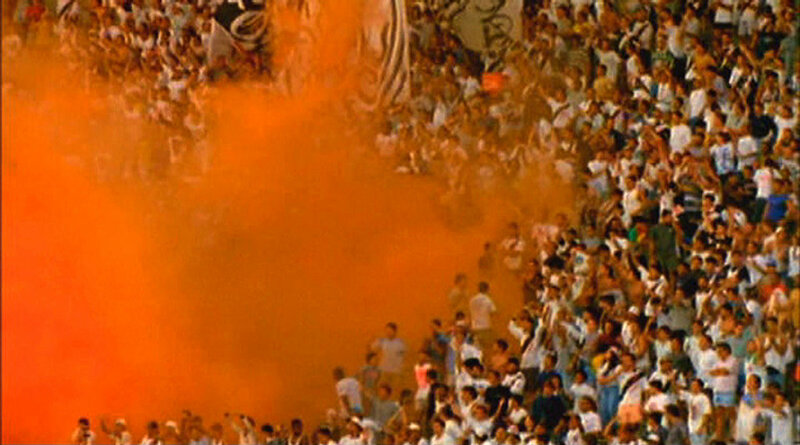 Set to samba music, Stephen Dean’s video “Volta” directs its gaze at the audience, focusing on the pandemonium and organized ritual of the stadium crowds. During the show, three of the video works in the exhibition will appear simultaneously on screens in the museum’s Stark Bar, where, beginning June 12, visitors will be able to kick back with a caipirinha and watch the World Cup. 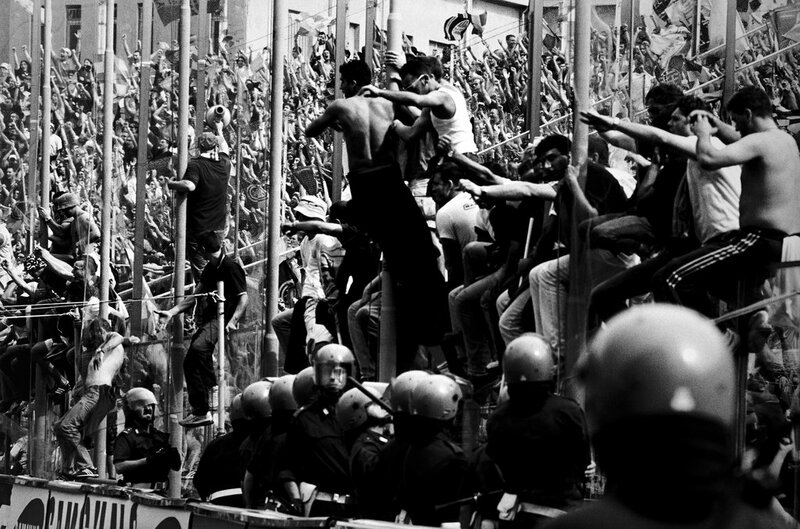 “Fútbol: The Beautiful Game” is on view at LACMA through July 20, 2014; lacma.org.